All but one member of the editorial advisory committee for Australia's top medical journal have resigned following the sacking of its eminent editor. Stephen Leeder, an emeritus professor of public health at the University of Sydney and chair of the Western Sydney Local Health District Board, was sacked as editor of the prestigious Medical Journal of Australia after he raised concerns about a decision by the journal's publisher AMPCo to outsource the journal's production to Elsevier. AMPCo is a wholly owned subsidiary of the Australian Medical Association. Professor Leeder said he was "bereaved" by his departure from the MJA, but said that working with Elsevier was "beyond the reach of my ethical tolerance". Leading doctors from around the country are outraged at the decision and appalled at the treatment of Professor Leeder, saying they share his concerns about Elsevier which has published "fake medical journals". Nineteen of the Medical Journal of Australia's 20 editorial advisory committee members co-signed a letter of resignation over the appointment of Elsevier, saying they could see no point "in continued involvement with this tragedy, particularly as our advice is neither sought nor apparently considered". One of the signatories, Professor Gary Wittert, the head of medicine at Adelaide University, said AMPCo's track record in sacking editors, including Dr Annette Katelaris in 2012, and its commercial arrangements with Elsevier "does not inspire confidence in editorial independence". Professor Paul Zimmet from the Baker IDI Heart and Diabetes Institute said the treatment of Professor Leeder, who he described as an "Australian icon", was "a disgrace". Professor Leeder was accompanied out of the office after his sacking. "It's a disgrace and very undignified," Professor Zimmet said. "Stephen Leeder is one of the most respected academics in Australian medicine, a great commentator and a very ethical guy. He was sacked about a matter which a number of us are concerned about." Professor Zimmet said global publishing giant Elsevier, had produced "fake" medical journals in Australia that were funded by pharmaceutical companies and not subject to peer review. Elsevier in 2009 declared as "unacceptable" its creation of publications in 2000 to 2005 that were sponsored by Merck to promote the drug Vioxx, which was discontinued because of its links to safety risks, including heart attack. "The publications were mainly directed at the products of those companies, but their overall appearance and the way they were published made it look like they were real journals," Professor Zimmet said. He said: "They have a bad track record in terms of the Lancet, which in 1998 published an article linking the measles, mumps and rubella vaccine as a possible cause of autism." He said that it was found to be questionable research, but it "took 10 years before the Lancet retracted it". More recently, The Lancet raised controversy over its publication last year of an open letter by a group of doctors "denouncing what we witness in the aggression of Gaza by Israel". Australian doctors are also concerned about Elsevier's former involvement in running arms fairs, before withdrawing from the practice in response to complaints from customers. Professor Zimmet and Professor Gary Wittert, a member of the MJA's editorial board, have written to Brian Owler, the president of the Australian Medical Association, calling for a review of its decision to appoint Elsevier. "We said the AMA should investigate the whole thing and the implications for ethical publishing of the medical journal," Professor Zimmet said. "AMA members would be very interested to know what the process was that led to this decision and how the due diligence was carried out." Tania Janusic resigned as deputy editor of the MJA and rejected an offer to take over Professor Leeder's position, saying she was "appalled at the action of the AMPCo board in dismissing him". 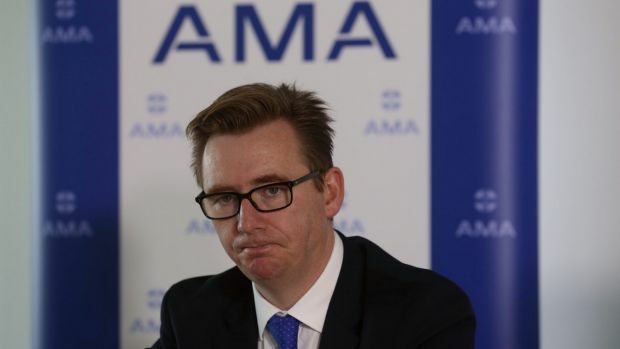 Dr Owler defended the decision to outsource production of the medical journal, saying AMA members have contributed $2 million each year to its publication. "We are not in a position to continue to do that," Dr Owler said. "The only thing that is being outsourced is production, not editorial content. That has been made clear right from the start. "I remain supportive of the AMPCo board and its decision." Dr Owler said Professor Leeder was a well respected member of the medical community. "He has an outstanding career particularly in terms of public health and we have been fortunate to have had his services over the past two years," Dr Owler said. "But unfortunately the AMPCo board, which runs the business, was not able to reach an agreement with him to secure the financial future of the journal. Publishing is a very difficult field at the present time and we can't continue to do things in the same way that has been done before." Dr Owler said the AMPCo board had considered controversial issues involving Elsevier and had interrogated those. 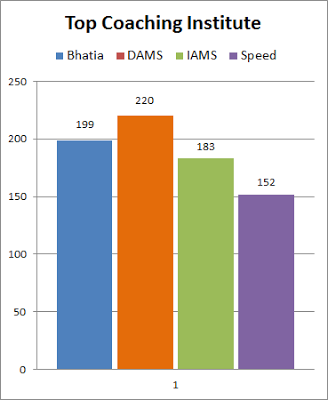 But after a competitive process, was satisfied with Elsevier. AMPCo Board chairman, Richard Allely, said views on the outsourcing proposal were sought and concerns raised by Professor Leeder and the editorial team were considered by the Board. "It was deemed necessary to seek operational efficiencies to put the journal on a sound financial footing," he said. He said "any criticism of Elsevier was related to editorial content and the company will have no editorial role with the MJA". A spokesman for Elsevier declined to comment "on any external commentaries surrounding the decisions made by AMPCo". "We're aware of these, but any queries that were put to the AMPCo Board about Elsevier were completely and comprehensively addressed to the full satisfaction of the Board," the spokesman said.